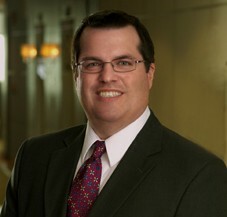 David M. Halpen is Principal-in-Charge of the Palm Beach Gardens office of Cummings & Lockwood. David has over twenty years of broad-based legal experience in trusts and estates planning, estate settlement, trust administration, business succession planning, and U.S. and international tax planning for a variety of high net worth clients. Prior to joining Cummings & Lockwood, he was a shareholder with Dunwody, White & Landon in their Naples and Palm Beach Offices.